You must make reservations at least 5 minutes in advance of the time at Christy's. Christy’s Restaurant, with exquisite cuisine and exceptional service, is the perfect venue for business presentations, private celebrations and receptions with different room options. 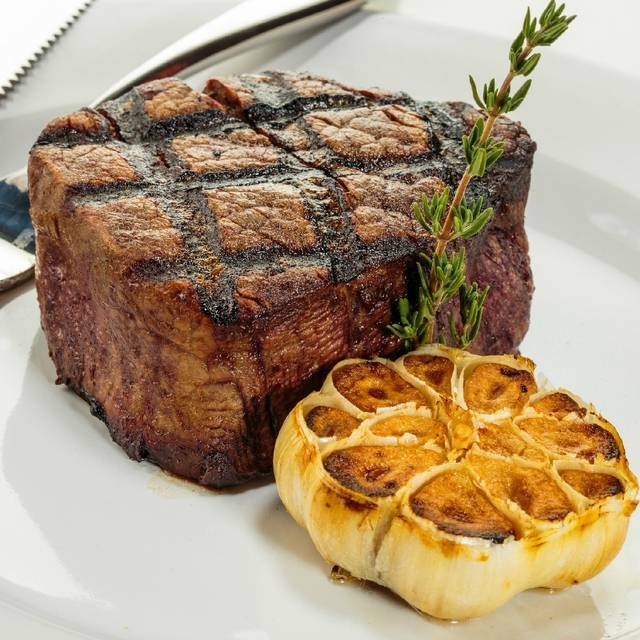 Christy’s Restaurant, Miami’s Premier Steakhouse, a Coral Gables landmark and restaurant icon for over 40 years! 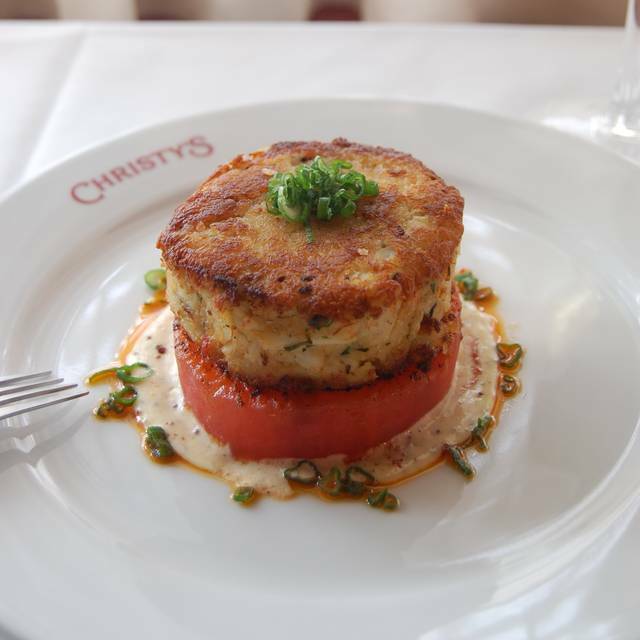 Christy’s proudly serves great steaks and seafood prepared to perfection. 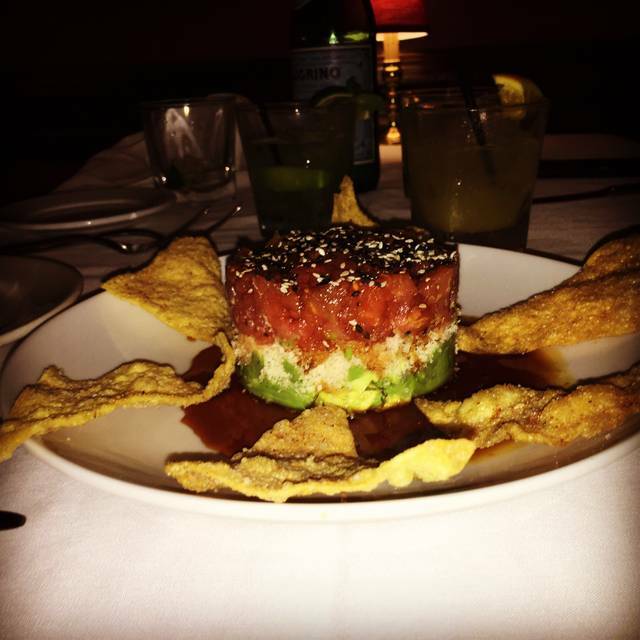 The exceptional food is matched with stellar service. For reservations of 8 diners or more, please contact the restaurant. This place isn’t what it used to be. Drinks, appetizers and service were great. The steaks were not great at all. A prime steak should be tender and flavorful. It appears that they are trying to pass off other grades of steak as prime. It’s a shame because Christy’s used to be very good. My husband and I were very disappointed in the steaks and will go elsewhere on future visits to the area. It took a while before the waiter came to ask us for a drink order and to bring bread. We had to ask what the specials were because it wasn’t told to us until we asked if there were any specials. Everything else was good but for the price one would expect superb service. There were four of us and we were celebrating a birthday. We still left 20% gratuity and it is a very nice restaurant. It was my second time there and a first for our guests. Christy's is consistently perfect. That is quite a credential for a restaurant that has a long-established presence and quality reputation. They never rest on their well-deserved laurels. And, their cocktails are prepared perfectly. Disappointing birthday celebration where I was served probably the worst Prime Rib, end cut ($54.00) I have ever had at Christy's. Starting with the Black Bean soup, including the Sherry, it was a bland and flavorless serving that required even the most basic salt and pepper to raise the flavor up to bland, in spite of the Sherry. The Caesar Salad was excellent, as we have always remembered. It is NOT good when a Prime Rib, end cut, is served absolutely cold, requiring a return to the kitchen for a re-heat, a cardinal sin relative to meats. Even hotter, the end cut, which is usually charred and crispy, full of flavors and falling apart in tenderness, was void of all of those attributes which are the reason for ordering an end-cut. Great ambiance. Very professional service. Not overly friendly. Wine list overpriced, but overall a restaurant that is reliable for consistently good food and good service. 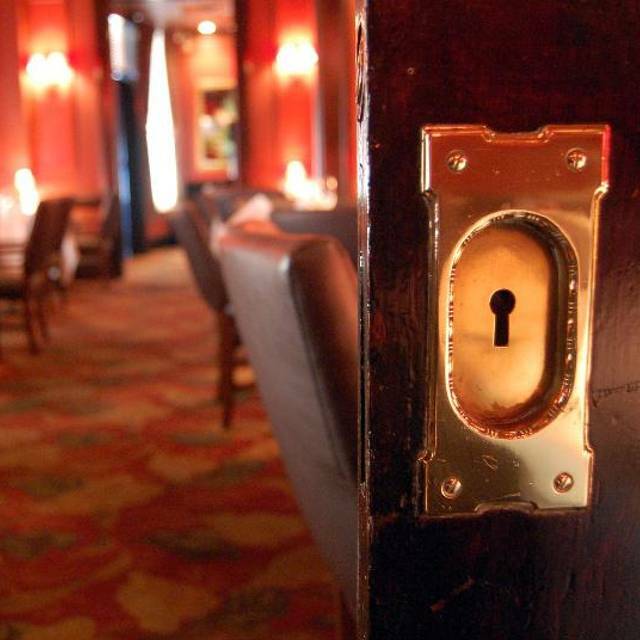 The entire dining experience was not up the the quality of Christie’s through the many years it has been here. Our food was pretty bad. Lamb chops used to be thick, juicy and meaty. Now they are skinny and fatty. Mine was also almost raw. The Caesar salad, which we now paid extra for, had so much dressing on it that it was floating on the plate. The baked potato was not cooked enough. The desert was not as described on the menu. We could not understand the waiter and the room was so noisy that we could not hear each other. What a disappointment. I will not go back to Christie’s. There are so many other better decisions Ning choices in the area for good meals. I do not mind paying top dollar for good food and pheasant dining experiences. The only ingredient that evening had was the top dollar part. Several orders not cooked properly. Service / staff was wonderful though. You can’t serve Costco meat and then charge Prime 112 prices. I am a Gables resident, and this well known institution has to step up its game. I will not return ....not for a long time. I went to Christy's for my 62nd Birthday. 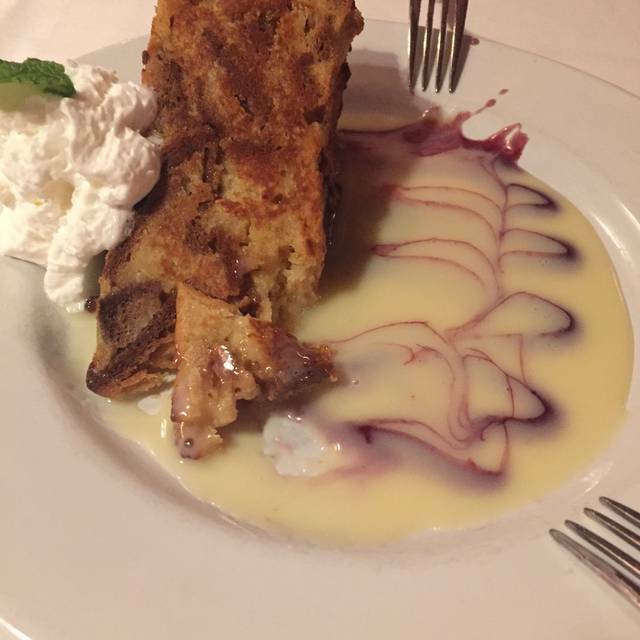 I have been to Christy's several times before, but many years ago and I wanted something classic and vintage to celebrate my milestone birthday. I. We started with Caesar's salads and Lobster bisque. The Lobster bisque was terrific tasting, with just the right amounts of sherry and spice although it was a bit frugal on the lobster meat. The Caesar's salads were just OK...nothing like I remember, when they used to prepare the salad from scratch at your table side. They gave us a small basket of cold pre sliced bread and a small plate with dipping oil...again, just ok, but not the tasty loaf on a cutting board of yore. 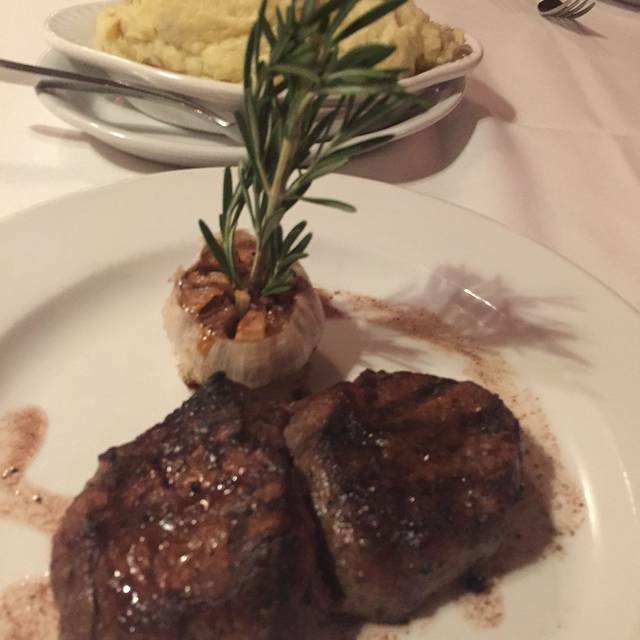 I ordered the 8 oz Filet Mignon which came with a small head of baked garlic on a stark plate. Steak was cooked to perfection. My husband ordered the snapper plate, that although tasty, was a very small serving, like a child's. He was disappointed. My daughter's burger was tasty and cooked well. Finished with Baked Alaska which was just ok, since the cake bottom was dry. Overall, a pleasant, but not GREAT experience. Solid. Dependable. No surprises. Enjoy the stability of a great restaurant. The salad which was once for FREE, is $12! That shows you how hurting the restaurant is. Good is still good, but more expensive. Service was pitiful. A bit pricey, but the chateaubriand was superb. Great service from Delius. Restaurant is dated and they were out of the prime rib by 8:30 pm which is weak. As always, Christy's never disappoints. I can always count on a delicious and satisfying meal. Their lamb chops are the best anywhere and the Caesar salad is always fresh. 2. THE ESCARGOT WAS A GOOD AS ALWAYS, BUT THE BREAD AGAIN WAS CHANGED TO THREE= PIECES OF SKICED BREAD WITH GARLIC. 3. THE CEASAR SALAD THAT WAS OFFERED BEFORE WITH OR WITH OUT ANCHOVIES AS PART OF THE MAIN COURSE IS NO LONGER AVAILABLE AND HAS TO BE PURCHASED. 4. AND FINALLY MY FAVORITE. THE PRIME RIB STEAK HAD A HUGE BONE WHICH I GUESS IS PART OF THE TOTAL OUNCES SHOWN ON THE MENU. This is my favorite place in Miami. I can’t stay away. Used to love dining here when I lived in CGrove...Back on business trip...Missed in so many areas from service to food. Removing one star since we had to wait 20+ min to be seated having a reservation. Besides that food and service was very good. Christy’s used to be our favorite restaurant. But the last two visits we have seen a huge decline in the service, food quality and overall experience. My black bean soup was thick as paste, the famous Cesaer salad had excessive dressing to the point that the salad was wilted. In the 30 years we have been going to the restaurant, I have never had children running around, throwing silly string at each other, loudly yelling & laying on the floor. No one from staff attempted to stop it. Awful experience for a anniversary/birthday celebration and a bill over $200. This will be our last time! Extremely disappointed at the food quality and the loudness in the restaurant. There was a time that I had Christy’s as my favorite restaurant. 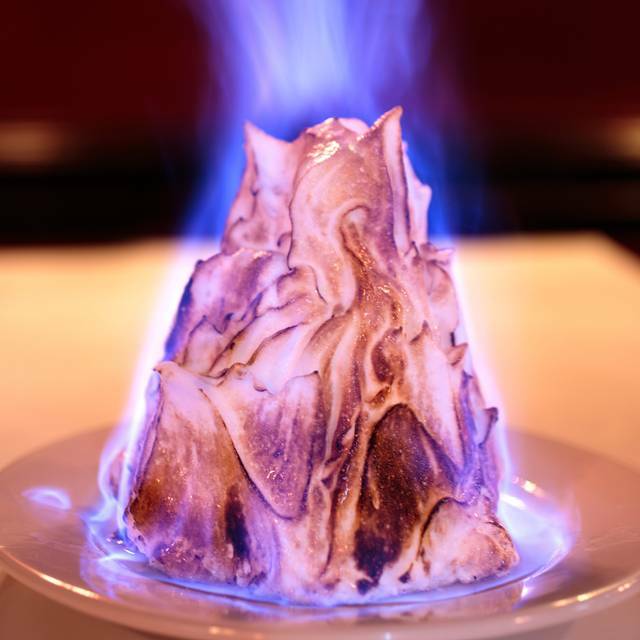 The Baked Alaska wasn’t remotely close to what it used to be. The steak was very salty and the sea bass had no taste. Definitely not interested in coming back and I will not recommend. Christy's is a south Florida institution and it doesn't disappoint. The Filet Mignon and Miso Salmon were delicious. We had a wonderful Valentine's day dinner. This is always a great restaurant for a special occasion. This is our "go to" for a nice romantic dinner. Since it was around Valentine's it was crowded, which is why the noise level was up a bit. The lamb and fried Brussel sprouts were excellent ad was the key lime pie. All aspects of our evening were outstanding. The food, ambiance and service were were all amazing. We have been going to christy's since the 80s. Love it. Great food and service. We had a server named Ruben who gave us excellent service. Would highly recommend. Food was great. The waitstaff is very nice and. Very good upscale steakhouse. Nice wine selection. 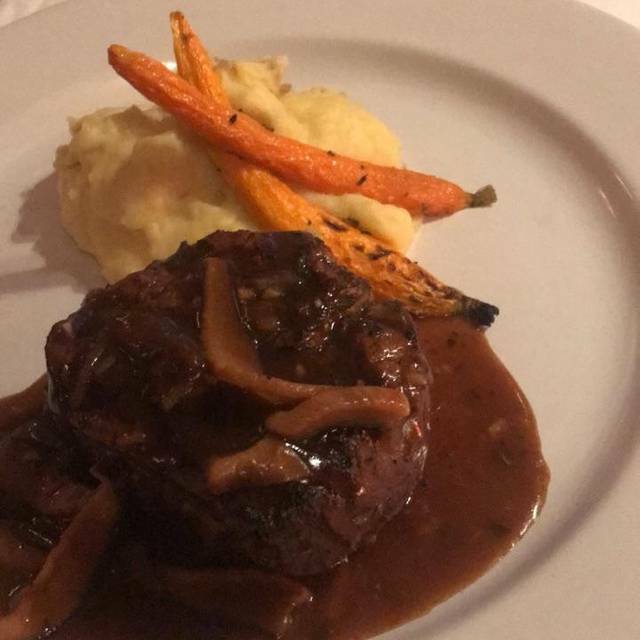 The best classic steak and seafood in Miami. No contest. It was disappointing. I know it’s known for it’s steak but we had seafood and it was just not fine dining quality . 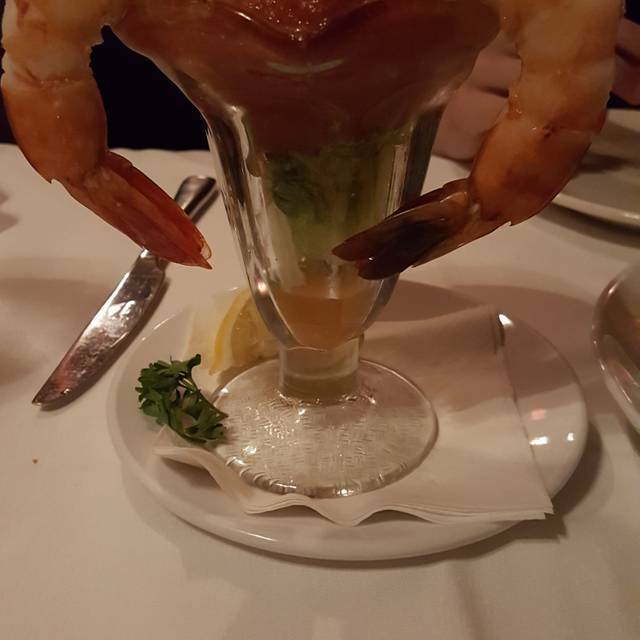 The food was very bland and the presentation was lacking as well. We had valiant as a starter and it had no flavor. Then I ordered one of the specials which was 2 lobster tails. They came on a plate with broccoli and a small container of seasoned butter, which basically was a lot of parsley and garlic. The lobster had no seasoning so the butter helped but I had to ask for another because I had to use it for the broccoli as well. Also , the staff should be trained to bring you a black napkin without asking and the response should not be No Problem when you say Thank you. Well the times that I’ve been there the service has been good and the food very good I must say that this time around the young guy that served our table XL himself with service and I was very please.